As far as crazy hen party destinations go, Liverpool is well and truly up there. Paved with high quality bars, upmarket clubs and trendy drinking quarters – you better get your Scouse brows on fleek, before heading out for a wild one in Liverpool. If you’re choosing an area to start, and end, any big night – Concert Square would be it. Alive from around 7pm, all the way to 4am, every night of the week – this area is renowned for attracting an under 30s crowd. Ink Bar is Wood Street’s resident cool kid, with sleek, exposed-girders and ornate chandeliers inside, and you can even get inked (no, really) whilst partying here. If the disco, Motown and high energy club bangers don’t lure you in, the huge cocktail and champagne list definitely will. Alternatively, Wood Street’s Camel Club is more of a hidden gem than a stand out club, but once you’ve discovered it, you won’t look back. Its exotic North African-inspired, dimly-lit interiors, jazz, hip-hop and 90s hits music and super cheap drinks make for a cheese-tastic night. In fact, this particular area is a little more Lidl than Waitrose – and it’s a hen party favourite for that exact reason. Hardman Street is one of the key routes into Liverpool city centre, and has long been a haunt for pubs, bars and restaurants. Recently renovated, the busy thoroughfare is now alive with up-and-coming watering holes, big clubs, and rife with hen parties from across the UK. The Old Blind School is our top pick for the area. Affectionately known as 'TOBS', this iconic grade II listed building on Hardman Street has been majorly revamped to form a lively, shabby-chic haunt. Selling fantastic wines and fabulous cocktails, this is a great place to start a night in the area. 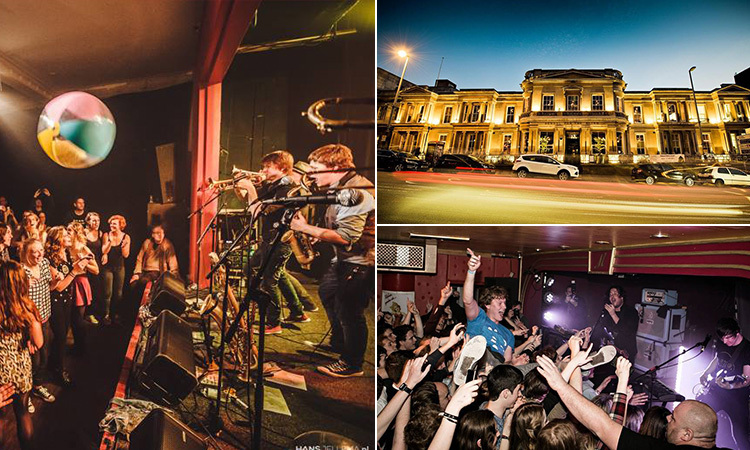 Hardman Street also houses live music venue and club, The Magnet. Hosting Techno, House and live acts, this 500-capacity, multi-level venue has a 50s retro feel, with leatherette chairs, collectable bric-a-brac on show, and live fish in glass tanks (where you can recreate that Romeo and Juliet scene). As the perfect backdrop to any hen night out, the famous Albert Dock has restaurants, bars and nightclubs aplenty. Located in the Grade I listed Britannia Pavilion, PANAM Bar, formerly housing the iconic Richard and Judy’s This Morning programme – boasts fabulous views of Albert Dock, a huge drinks list and sensational offers such as bottomless brunch and mouthwatering three course Sunday lunches. Amid the twinkling lights of the Dock, Revolution, on the banks of the River Mersey, is everything you’d expect from a high-end Revs. Boasting a huge range of drinks (including their renowned shot trays and cocktails) at discounted prices, all to a backdrop of the sun setting over the iconic Docks – Revolution’s sky booths are the ideal place to kick off those hen party celebrations. 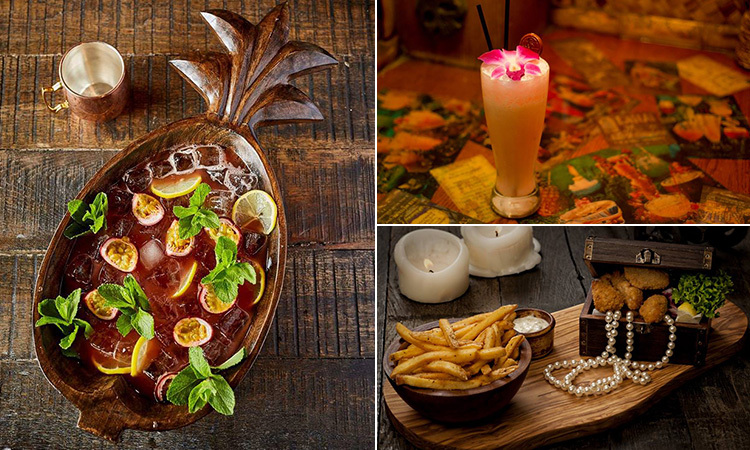 A particularly quirky haunt we’d definitely recommend is the Smuggler’s Cove. This themed venue creates the illusion that you’ve stepped on board a pirate ship – with its boat-like, dimly-lit wooden fittings, weathered wallpaper and live music (with sing-a-longs on the first Thursday of every month). It also holds a Guinness World Record, thanks to its 150-strong collection of rums in the Cabinet Bar. Known the world over as the location of Cavern Club (where The Beatles famously performed many times in their early days), Mathew Street draws locals and visitors in their thousands. The street even features a mural tribute sculpture to those ‘four lads who shook the world’. 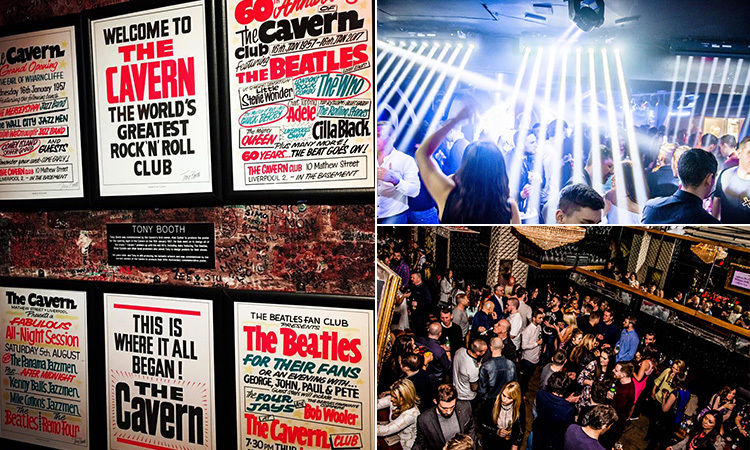 Still going strong to this day, Cavern Club exhibits the legacy of The Beatles and takes visitors on a ‘magical mystery tour’ of the bands heritage, as well as showcasing other established, or up-and-coming bands. Inspired by the jazz districts of Paris, its cosy – and surprisingly spacious - vault-like interiors have retro posters lining the exposed-brick walls, and a whole lot of history under its belt. You can’t leave the city without a visit here. Just a minutes’ walk from Mathew Street, Stanley Street is home to Liverpool’s nightlife sanctum, Bar Signature. With renowned club nights, from Thursday’s The Truth and Friday’s Fresh N Funky, to Saturday’s Anthem and Sunday’s Vibe – there’s something for everyone in this classy haunt. And, with a long standing reputation as a stag and hen party friendly venue, you’re sure to be partying among like-minded groups. The Navy Bar is another hen party friendly venue, as well as being one of the most iconic gay venues in the whole city. 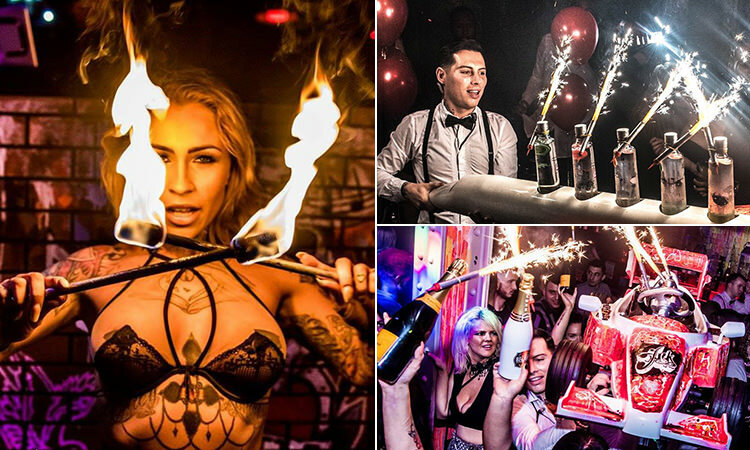 Newly refurbished, this club draws in the best drag and LGBT crowds – for a huge night of flamboyancy, extravagant outfits and DJs you’ll never forget. Another long-running hub of Liverpool’s gay nightlife is Superstar Boudoir. Head down the steep, narrow stairwell to the secret den of strobe lights, drag queen hostesses and banging chart smash hits. We recommend catching a hilarious drag cabaret show whilst you’re at it. When celebrating your hen party in the Gay Village, you can’t pass GBar. Open ‘til late (7am on Saturdays), this is Liverpool’s leading gay bar with over 20 years of experience. Voted amongst the best after hour clubs by MIXMAG clubbing magazine, the electro and dance music will lure you in and make that morning after hangover so worthwhile. 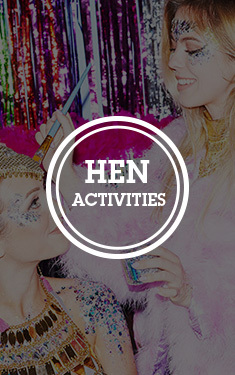 Right der laa, if lively Liverpool sounds like your sort of hen do destination, check out the bespoke weekends we have on offer on our Liverpool hen weekends page.